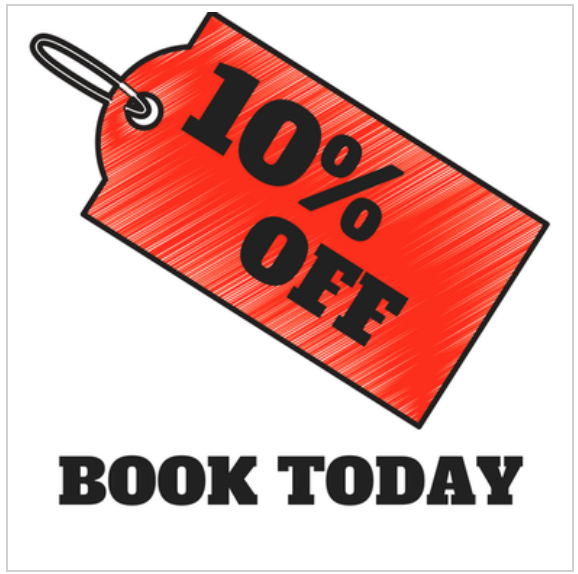 At Norwalk Stamped Concrete we are 100 percent committed to bringing you the finest service and most exceptional craftsmanship that the state of Connecticut has to offer. We have worked tirelessly to build a community that is close-knit, capable and strong. By building relationships with each of our individual clients, we have been able to foster a healthy working environment that benefits both the community and us. Our team is friendly, determined, caring and possess an extremely strong work ethic, both individually and as a whole. We are the most trusted concrete contractors in the area and we intend for it to stay that way. Proud to be serving the Norwalk, CT area, Norwalk Stamped Concrete is a full-service concrete contractor serving both commercial and residential clients. We are community driven and committed to providing you with excellence in every way that we can from the initial consultation to putting the finishing touches on your project. We care about you and your home and will ensure that we are giving the proper time and attention to the things that you deem important. We know you will be happy with the service that you receive when you choose Norwalk Stamped Concrete. 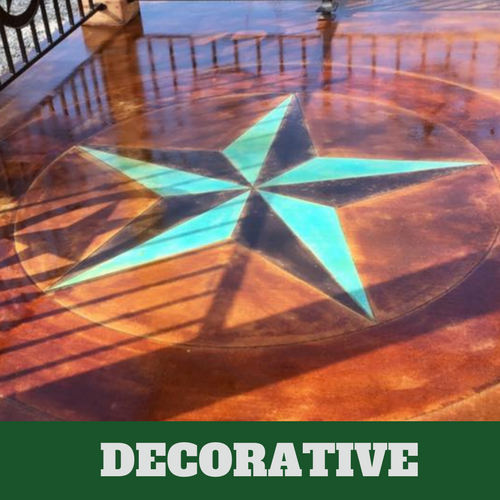 At Norwalk Connecticut Stamped Concrete we have ensured that we cover all of our bases. That’s why we offer the most diverse and complete range of services for you to choose from. From concrete patios to concrete driveway repair, no job is too big or too small for our cement contractors. We give the same effort and attention to simple concrete repair, as we would to a complete home renovation or new housing development. The only thing that you need to do is trust that we are the right concrete company for you. 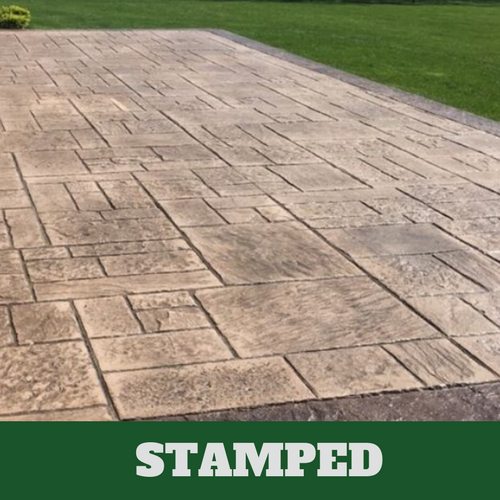 Stamped concrete is one of the most popular choices for driveways, walkways, pools and patios because it is versatile, unique, cost-effective and long lasting. 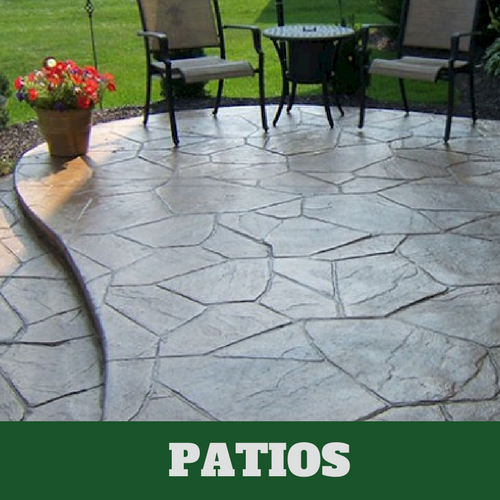 Stamped concrete holds up extremely well against various weather conditions and traffic. It does not require a lot of maintenance and it will stay looking nice year after year. It’s also relatively easy to install, making it one of the favorite choice among Connecticut concrete companies and homeowners alike. Your driveway is the welcome mat to your home. It is both functional and a large part of your home’s overall aesthetic. 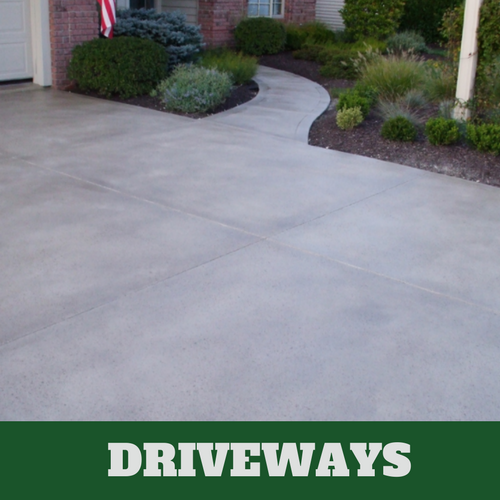 Concrete driveways are quickly becoming the most popular option today. They are durable, low maintenance, cheap and easy to install. At Norwalk Stamped Concrete we offer a variety of different concrete designs including stamped concrete driveway, stained driveway, and exposed aggregate. Whatever option you choose, we will turn it into a reality. Patios are the place that most people spend the most time in the summer months. They bring people together, whether it is for barbeques, bonfires or family gatherings. Having a low maintenance, durable and long-lasting patio is important. Stamped concrete is the best option in terms of longevity and performance. At Norwalk Stamped Concrete we want to make sure that you get only the very best, because you deserve it. Pool decks need to be durable, long-lasting and, above all, safe. Choosing stamped concrete allows you to have all of these qualities, while also allowing you to have the most options in terms of design. With stamped concrete your options for color, pattern and texture are endless, allowing you to create a pool area that blends seamlessly with the rest of your gorgeous backyard. 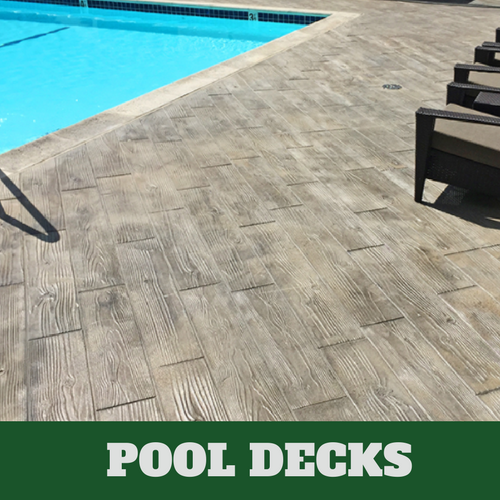 Contact Norwalk Stamped Concrete today to get started on creating your customized pool deck design. Stamped concrete flooring is one of the most popular options today because of its design capabilities, cost, durability and longevity. Concrete floors cannot be scratched or dented, and when sealed they are protected from stains, spills and grime. 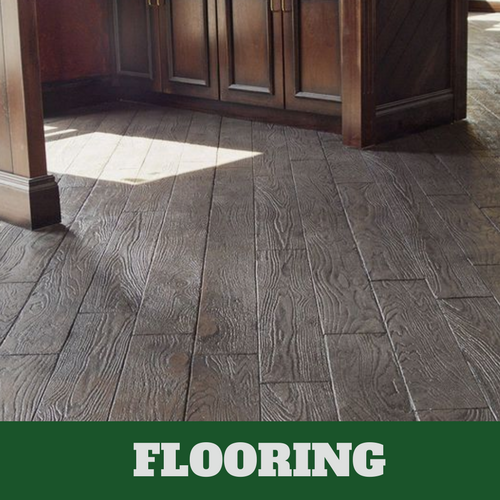 Since floors can be hard to keep in clean, pristine shape, stamped concrete is incredibly beneficial to homeowners. Dyes and patterns can help add texture and design so that your floors still fit with your home décor. Decorative concrete is the use of concrete for aesthetic purposes, rather than just utilitarian purposes. It involves processes such as stamping, engraving, staining, dying and polishing. Opting for decorative concrete allows homeowners to play with design and have fun with creating the spaces in their Connecticut homes. Our role is simply to answer questions, offer design support when needed and to carry out your detailed vision. If any of the above services jump out to you, visit out contact page as soon as possible to get started with our team of professionals. Before we begin any work, we will always make sure that we have listened to and addressed all of your concerns and that you understand what we are about to do. An open-flow of communication is vital to our process and it’s what makes us one of the top concrete companies in all of Connecticut. Choose Norwalk Stamped Concrete and we give you our word that you will never be anything less than satisfied with our work.